Shackles of Blood has some very interesting story and role playing twists, combined with a few thrilling combat encounters, including a unique/strategic map layout! Even though the module is listed to support characters up to level 4, I’ll be hosting this game for beginners only (level 1 or 2) who have never run or played this module and are unfamiliar with its story. In other words, only sign up for this game if you are new to Adventurers League, Shackles of Blood, and/or Fantasy Grounds! This will ensure the best possible game for players as they are experiencing the story for the first time with new characters that will not overpower the module. 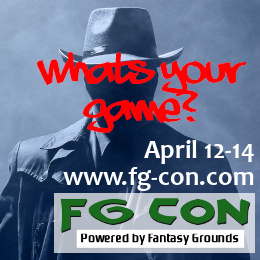 This will also provide opportunities for me to teach and assist with the Fantasy Grounds tool itself, which supports the overall goal of FG-Con games. We can even do a character build pre-game, if new players would like to see how much Fantasy Grounds simplifies the 5e character build! For voice chat, we will use TeamSpeak on the FG-Con TeamSpeak Server. Here is a link to download TeamSpeak: https://www.teamspeak.com/downloads . Once that is downloaded, you can install it and configure it via Settings->Options from the TeamSpeak menu bar to set the playback and capture options, most importantly. It’s important to get the setting right for the sanity of everyone that’s in the chat. We can work on this if you are having issues, but please make an attempt before hand. I’ll send out the server and channel details a day before the game. Regarding the game server itself, I’ll have it online an hour or so ahead of the game in case you want to log in early and get prepared. If you don’t have a character ready to go, please log in about 30 minutes ahead of time so that we can put one together real quick. 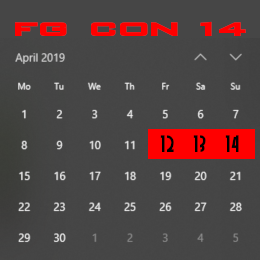 My motivation for running a game during FG-Con is to contribute back to the community a bit. 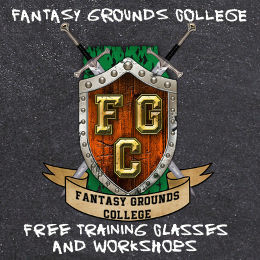 I’ve been having alot of fun playing Adventurers League games on Fantasy Grounds via the ALOnlineTools.net site and wanted to introduce more people to AL and FG in order to build up more DMs for games and keep the community and game pool thriving!